In best road bikes 2016 we are going to discuss the features that you should be looking for, in a road bike and then we will review some of the best selling road bikes of 2016. 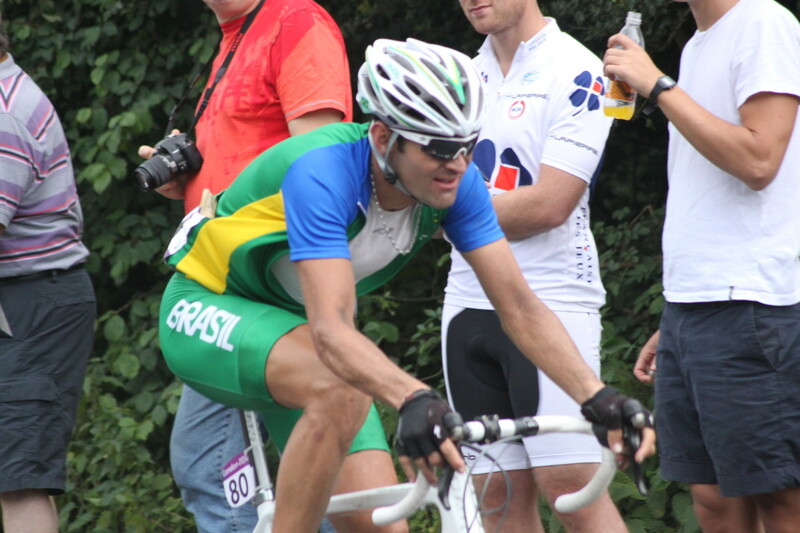 Road cycling isn't just good fun it's also a great way of getting into shape and improving your general health. 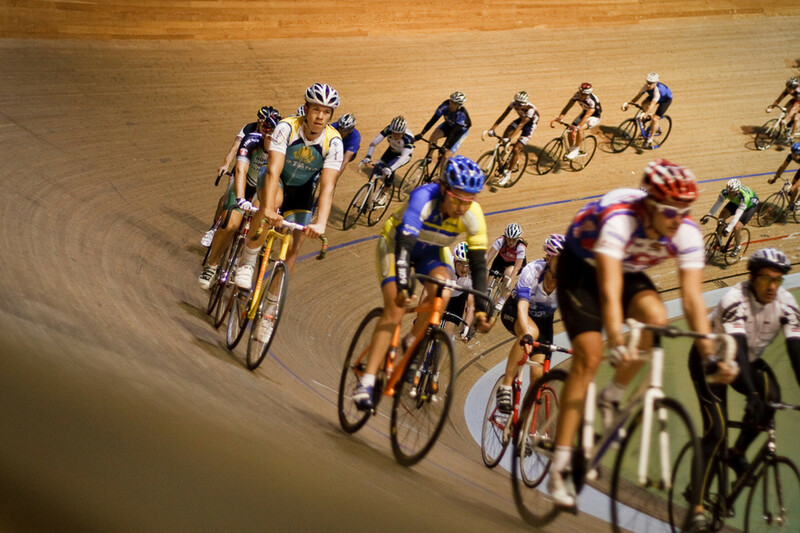 Cycling exercises your cardiovascular system, helps you burn calories and is a fun social pastime. Taking up cycling is great whether you do it alone, with your partner or even if you get the whole family involved. When you go shopping for a road bike there are a few things to keep in mind. Such as: what you will be using the bike for, your level of cycling skill and additional accessories you may need for your bike. 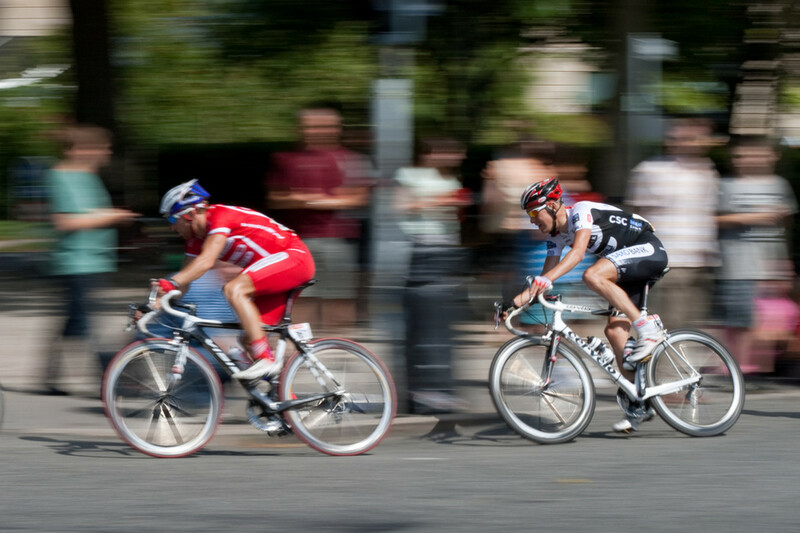 There are a few different kinds of road bikes, but touring and racing bikes are the most common. If you are looking for a competitive racing bike, then you need one that is as light as possible. 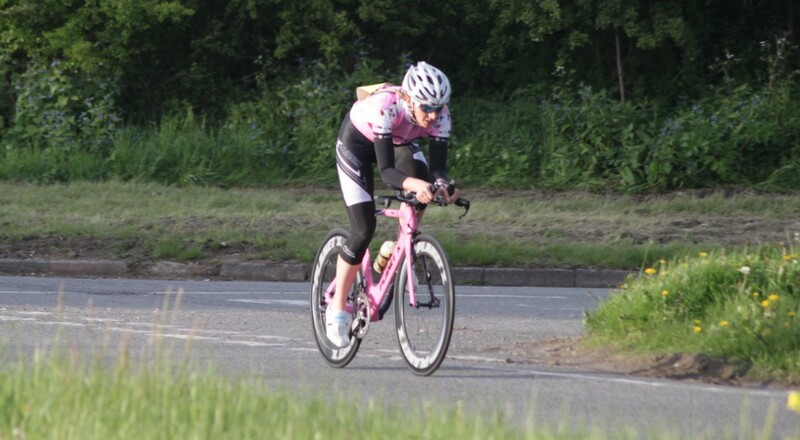 Heavier bikes will make you tired faster and you won't be able to get up to speed ,as quickly as with a lighter bike. Racing bikes have few accessories and very light frames. Touring bikes are ridden for long periods, so comfort is the most important consideration. The seat is especially important in a touring bike. The GMC Denali Road Bike’s major selling point is the low price. It is an excellent value for a 21-speed, aluminum road bike. The all-aluminum frame is very light – about 30 pounds – for this price range. It definitely lets you feel the road. If you like the feedback, it’s good. If you think of it as vibration, it’s not as pleasant. It looks good – whether in gold, blue, black/silver or black/yellow. This bike is pretty easy to assemble. You do need several allen wrenches, pliers, screwdriver and open-end wrenches. The Promax brakes and Shimano derailleur may not be the best. Unless you like doing the fine-tuning, you may need to get some professional help to get the most out of this bike. You can only find good replacement parts, for this bike, from the manufacturer which may delay your repairs. The Schwinn Lakeshore Cruiser is a 7-speed, steel cruising bicycle. It offers a “comfortable” upright riding position. At about 50 pounds, it is an entry-level bicycle for ladies who don’t expect to cycle on long hilly tours. It comes with a rear rack, so the bike is terrific for shopping trips. Assembly is challenging, especially without illustrations in the guide. The rear coaster brakes, upright seating position, and padded cruiser seat mean that hard-core cyclists might want to keep looking. But...this is a terrific buy for the price-conscious casual biker. 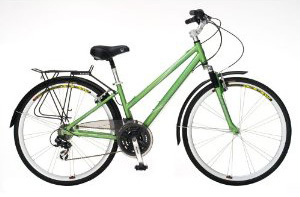 The Schwinn Hybrid Women’s bike has 21 speeds. With its aluminum frame, it weighs about 40 pounds. A bit higher in price than the others, it handles most conditions admirably. The rear rack supports shopping trips. The Shimano derailleur and hybrid handlebar and saddle are fine for road tours. Purist mountaineers may want a lighter bicycle; the trick would be to find one in this price range. In fact, this may be the best value for a frequent cyclist who wants every-day dependability and function. The shock absorbers and wide padded seat make for a smooth and comfortable ride. This bike is easy to assemble; just be sure to have an allen wrench handy. You know it’s a good bike when the biggest complaint is that the water bottle’s cage is a bit low. The Sonoma Chainless men’s bike weighs less than 50 pounds. As a chainless bike, it is quiet and requires less maintenance than chained derailleur-style bicycles. This bike emphasizes road comfort, a two-year warranty, high utility (because you spend more time riding and less time adjusting the transmission), and the “cool factor” if you are the first with a chainless bike. Chainless bicycles have other strong points. First, your pants legs will not tangle in a chain, or get spattered with oil from the chain. Secondly, the gears are protected from rain, snow and road salt. Thirdly, some people find it easier to change gears with this type of bicycle. Finally, you cannot de-rail or break a chain that isn’t there. It has a three-gear internal transmission. Any chainless bicycle loses some mechanical efficiency compared to using a chain. Mountaineers may not appreciate the three-gear limit – but then, it calls itself a “commuter” bicycle. On flat terrain, this bicycle need not apologize for anything. This model includes a T shock fork and cushioned seat for a comfortable ride. The bike looks good in “smoky obsidian”. 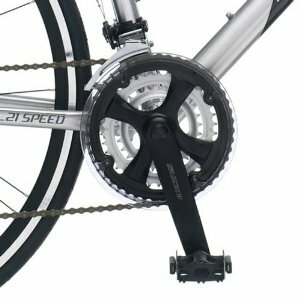 There is a lifetime warranty on the frame and chainless D-Drive system, plus a two-year warranty on all other components. It is priced comparably with other aluminum-frame road bicycles. 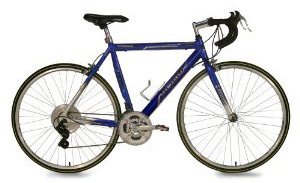 The Schwinn Volare road bike is a 21-speed, aluminum road bike. Assembly is fairly easy. This Shamano derailleur gets very good marks, particularly for “smooth” shifting. Most cyclists will make minor adjustments with allen wrenches or screwdrivers. At about 35pounds, this bike is fairly sturdy and tough. You can feel the road – especially through the very hard, unforgiving seat. However, this is the only part of the bike that gets low marks. If you switch seats, the ride is surprisingly smooth. The lack of shock absorbers is not a problem. At its weight, the 21 speeds make it a great choice for touring through hilly terrain. The price makes it an excellent buy. If you enjoyed best road bikes 2016 you should also read folding bicycle reviews and best home gym 2016. Interesting hub. Where do these stats come from asd 'best selling' road bikes? Does the sonoma chainless really weigh less than 50 pounds as that is extremely heavy and more than you'd expect from a cheap full suspension bike? Hey great hub, plenty of info. I currenty have a Hybrid and am looking to get myself a road bike for this year. Thanks for this hub! Very useful info. I'm just getting into cycling and I still have a rather cheap bike, but someday soon your hub will become very handy.